Dr. James White of Alpha and Omega Ministries took to his webcast on Monday to speak about the issue after releasing an assertive blog post with his daughter on Saturday. 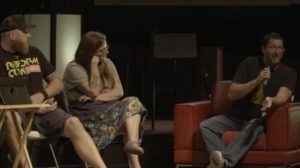 As previously reported, on June 22, Marcus Pittman, the head of Apologia Studios in Tempe, Arizona, posted a provocative live, public video of the tattoo fundraiser to social media, which he gave the questioning title “Apologia Studios Tattoo Parlor? !” (View here.) Apologia Studios is a part of Apologia Church, led by Jeff Durbin, which is seeking to plant a new church in Kauai. In the footage, a supporter named Thad is having a Greek “Chi-Rho” symbol tattooed on his arm while in the ministry’s studio, as a tattoo artist from the congregation had offered his services to help raise funds for his part in the church planting effort. Weeks prior, on June 1 – 4, Pittman and Durbin, along with Les Lanphere of Reformed Pubcast, also hosted a conference called ReformCon, which included a time of “talking theology over beer” at a local pub. Attendees could participate in a beer flight, which is a sampling of various beers. Pittman had outlined in detail his belief that Christians should drink in public and even take over the brewing industry for Christ in a 2014 article on the site “Gospel Spam,” of which he was a contributor. He explained that he opposes drunkenness, but disagrees with those who find drinking in itself to be a worldly activity. “Perhaps you think having a beer is ‘worldly’? Or that going to a pub to have a drink to have a drink is ‘worldly’? I respect your opinion and tradition. 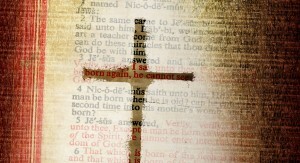 I strongly disagree with you and do so on the basis of the word of God,” he said. Jeremiah Roberts, an Apologia member, recently noted in online comments that the congregation was “90% drug addicts coming out of rehab” at its inception. Durbin also took to Facebook this week to outline that he does not seek to be “cool,” and that the only time he promotes the fruit of the vine in church is during communion. “I confess, every Sunday might qualify us as ‘regular drinkers.’ We call it: C-O-M-M-U-N-I-O-N. I confess to pushing alcohol in this context. I confess to trying to get everyone to drink. And I do not repent,” he quipped. Live #reformcon Pub Meet-up in Phoenix! Apologia’s ReformCon conference covered a host of issues, such as the importance of the sovereignty of God and Sola Scriptura, and featured a variety of discussions with invited guests. He said that both studying wine in the Bible and considering the words of a friend shaped his conclusion. He said that he continued sorting through the matter in his mind, and later, during a visit to Idaho, the words of a friend persuaded him to begin drinking. “I know you don’t drink and all, but you’re all for it. But if you don’t drink, who’s going to teach your daughters to drink?” the friend asked. “You’re theology’s gay if it’s not doing that,” Doane repeated as Durbin chuckled. While some saw nothing objectionable with the concept of offering tattoos as a way to raise funds for a church plant, nor making a beer flight available at a gospel conference, others remarked that they found the unconventional ideas to be inappropriate for church fundraising. Sonny Hernandez, a military chaplain and adjunct professor of theology, provided his view on the subject of church fundraising and whether the two concepts should be accepted or allowed by the Church. But following the release of the news report, James White blasted the article as being a “hit piece” against specific people. 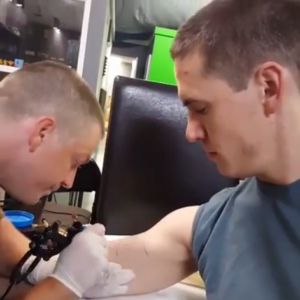 He outlined that he knows Durbin well and noted that his son-in-law was the one obtaining the tattoo in the video. Among other contentions, he and his daughter, Summer Pinch—who is a member of Apologia—took issue that the report did not include the other fundraisers at Apologia, such as the bake sales and dinners. White also noted that the tattoo fundraiser was three weeks after ReformCon and was not advertised to the public. But in his post on Monday, Hall stated that he found White’s contentions to be deflective of the focus of the article, which was whether these two specific types of fundraisers should be acceptable for church plants and if they should be considered being “of the world” or not—a biblical prohibition—as Hernandez opined. White did not mention Hernandez in his post or webcast, nor did he address Hernandez’ remarks. “As polemicists, deflections avoiding substantive discussion typically come from either (1) misdirecting accolades of the good qualities of the person or institution questioned or (2) firing accusatory bullets toward the messenger,” he wrote. Hernandez also expressed concern about the response, stating that the issues were important for the Body of Christ to discuss. “Young men and women need mature examples that will teach them biblical maturity, reverence and purity that will guide them to perfecting holiness in fear of God, and not leaders that deflect the underlying issues of Christian liberty by categorically decrying everyone who disagrees with them as being judgmental, slanderers, liars, bigots, and Pharisees,” he said. 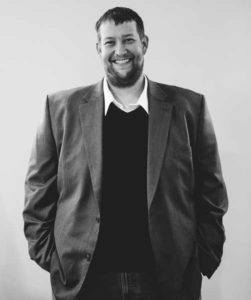 Pastor Justin Pierce of Grace Life Church Tri-Cities in Blountville, Tennessee likewise wrote on the subject as he talked about what he called the “golden calf” of Christian liberty. “[W]e would like to see biblical liberty in modesty and modesty in self-control and self-control in unity, to the glory of God,” Pierce said. 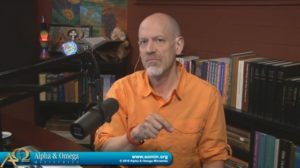 Jeff Durbin, along with Luke Pierson, the discipleship pastor at Apologia, told Christian News Network that leadership is unable to respond to the matter until later this month due to their full schedule.